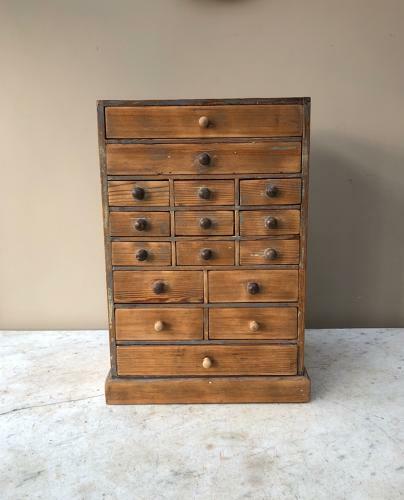 Early 20th Century Pine Watchmakers Bank of Sixteen Drawers. It looks as though it has been hand stripped with a few clues of the original blue paint. Couple of replaced knobs. Great solid condition with no worm. I can box and post Parcel Force 48 for £20.